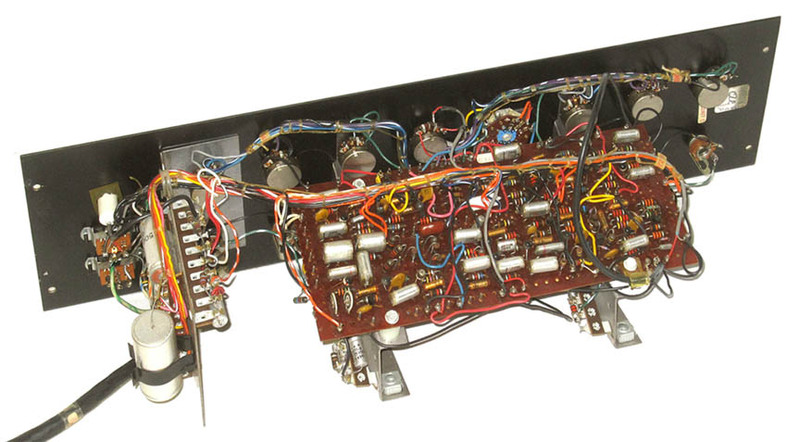 Vox Series 90 V132 Preamp - "A Look Under the Hood"
Built before the dawn of integrated circuits, ribbon cables and PC mount potentiometers, the Vox V132 Series 90 preamp was loaded with late 1960s solid state technology. Its circuits were constructed using individual and discrete electronic components that were mounted to printed circuit boards and lug strips. Interconnections from the boards to the controls and switches were completed with hand laced and soldered wire harnesses. If you ever wondered why many amp technicians refuse to work on Thomas Vox amps, the pictures above should help you to understand. 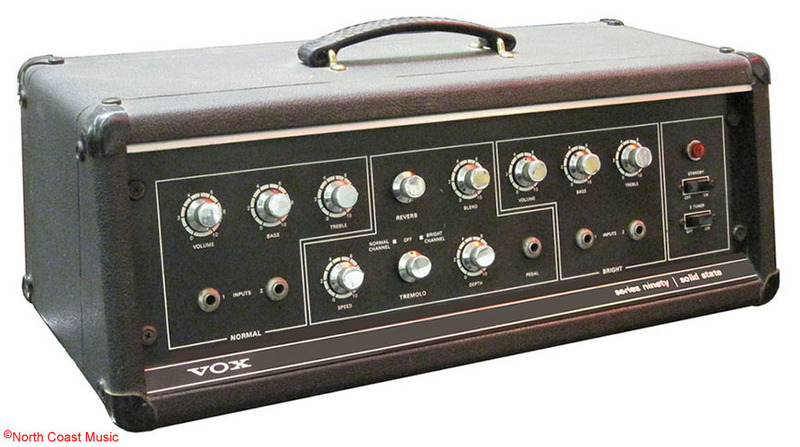 My thanks to Mr Mark Music of Anoka MN for allowing the VSR to take photos of this Vox V132 Series 90 preamp chassis.